We have an issue crammed full of tech stories this week. We’ve often covered through this newsletter and in the tech events that we’re running, the “rise and rise” of robotics and automation. More often than not it’s in larger manufacturing operations like car assembly plants where the technology is being adopted. Think again. 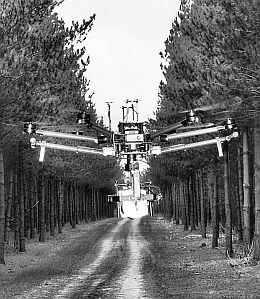 Sodra, the largest grouping of forest owners in Sweden and a major wood and pulp & paper producer has just taken their first step into robotics. They’ve introduced Clerk. It’s not in manufacturing but in their offices. Clerk is working now in an admin role. It’s the company’s first digital robot employee and they’re expecting it’s going to be the first of many. 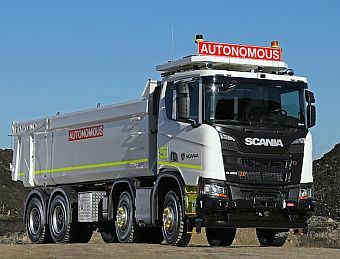 We cover a story on Scania, who have been testing a new generation of autonomous transport at Rio Tinto’s operations in Western Australia. As we’ve reported on previously, Rio Tinto has pioneered the use of new technology and automation through their Mine of the FutureTM programme in the mining industry. It's hauled more than one billion tonnes of iron ore in the Pilbara using 80 autonomous trucks since it operated its first driverless truck about 10 years ago. For wood harvesting, we’re looking closely at what they’re doing as there are close parallels between the two industries, particularly when it comes to safety in the workplace. They currently have the largest fleet of driverless trucks, the world’s first fully-autonomous heavy haul, long distance rail network, and fully autonomous production drills. Plans now are underway to introduce more autonomous trucks and other fully autonomous solutions for other transport applications across the company’s operations. 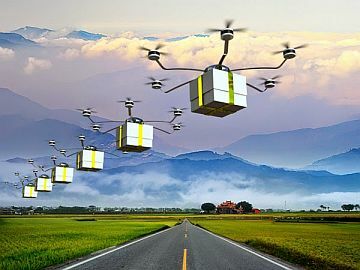 With drones, no surprise here really, but it appears that China is edging ahead of the U.S. and Europe in using drones for delivering goods. Following a recent trial, one of the country’s leading e-commerce companies has suggested that 50% of its packages are going to be delivered by drones. One Chinese logistics company has also now approved operation of commercial drones for delivery. With a maximum payload of 30 kg, the new service will be able to deliver everything from fresh food to clothing and electronics. Finally, plenty of good news again on the timber building front. The Australian Building Codes Board, following some concentrated work and submissions by FWPA, has just released the preview version of the 2019 National Construction Code. It’s expanded the range of buildings, up to an effective height of 25m, in which fire protected timber construction systems can be used. 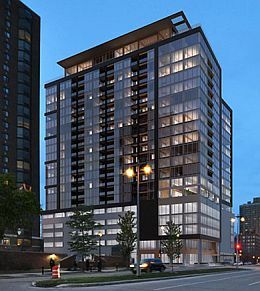 Approval has also been given in the U.S. for a 21 storey 72.6 metre apartment building which when built, will be the tallest mass timber building in the western hemisphere. 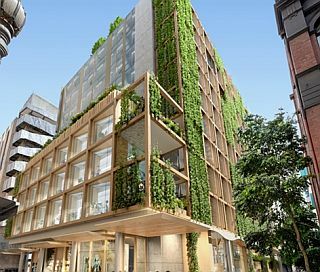 In Australia, an entire block in downtown Melbourne, whilst not a mass timber building, is being proposed using “biophilic principles”. What’s that. Check out the story below. Timber-Architecture E-news has also reported that more than 23,500 m3 of CLT in 35 projects, was sold or processed last year in Australia. That’s around 23 sized Forte Living buildings, the first CLT building built in Australia in early 2012. The growth in the use of CLT across the country has been substantial – and continues to grow. Impressive. That’s it for this week. Enjoy this week’s read. In New Zealand, fire fighters are still battling the fire just outside of Nelson. As of yesterday, fire fighters had saved the Carter Holt Harvey sawmill near Nelson from destruction. But it was too early for managers to assess the damage to the surrounding forests mainly owned or managed by Tasman Pine Forests, a subsidiary of Sumitomo Forestry. The latest available map of the fire area shows the fire came within metres of the Carter Holt sawmill. Civil Defence said there were still a number of fires burning and access to the sawmill and forest areas was cut off for most people. The fire was called in about 2pm on Tuesday at Pigeon Valley, near Wakefield, about 30 kilometres southwest of Nelson at the top of New Zealand’s South Island. A state of emergency was called on Wednesday morning, with the fire spreading to cover 1,900 hectares with an approximate 22km perimeter by the evening. A Civil Defence spokesman said there was at least one house gone with others yet to be confirmed. In Australia, as we’ve reported, the bushfires in Tasmania are having a huge impact on the state’s private forestry industry, with tens of thousands of hectares burnt. Private Forests Tasmania said that as of February 5, a total of 35,325 hectares of the private forest estate had been burnt in the fires. The amount of non-industrial private forest burnt as of yesterday was 31,071 ha, dwarfing the non-industrial hardwood plantations burnt total of 483 ha. On the industrial front, the private native forest estate burnt was 4254 ha, while industrial hardwood plantation area burnt was 2756 ha and softwood 533 ha. These figures will be updated when the picture becomes clearer. 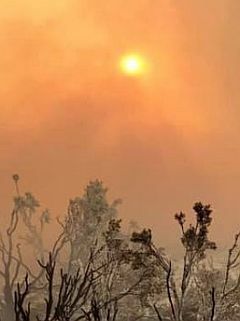 Tasmanian Minister for Resources Sarah Courtney said that it was too early to provide accurate numbers, but current estimates indicate more than 190 thousand hectares of both private and public land has been impacted from the recent Tasmanian fires. The Australian Building Codes Board (ABCB) has released the preview version of the 2019 National Construction Code (NCC) that increases the range of buildings, up to an effective height of 25m, in which fire-protected timber construction systems can be used. The new Classes add schools, retail premises, hospitals and aged care facilities to the previously approved multi-residential, hospitality accommodation and office buildings. This change is based on extensive work and a successful submission by Forest and Wood Products Australia (FWPA), which extends a Deemed-to-Satisfy solution that was secured in the 2016 NCC permitting, for the first time, construction in fire-protected timber building systems to an effective height of 25 metres (typically 8 storeys) for Class 2, 3 and 5 buildings. The 2016 change, along with advice from the WoodSolutions Mid-rise Advisory Team (an industry-supported pilot program operated by FWPA in Melbourne and Brisbane) has led to a growing number of mid-rise residential projects considering and adopting timber as the primary building material. 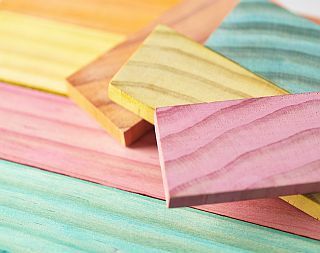 “Developing and submitting proposals for change to the NCC is part of FWPA’s overall strategy of increasing the volume of wood products by simplifying the process of specification by designers. Across our five programs we are actively exploring opportunities to drive the use of wood and increase the social license of the industry as a whole.” Mr Sinclair said that he would like to thank Boris Iskra, FWPA’s National Codes and Standards Manager, and everyone else involved in preparing the evidence-based Proposal for Change submission. 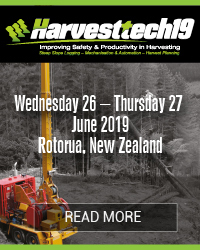 The two-yearly technology update for sawmilling companies in New Zealand and Australia is being planned with local industry and key technology providers. It runs in September 2019. Record numbers attended the last event in 2017 and exhibition spaces sold out at both venues. 2019 plans to be even better. Mark the date now into your diaries. Early expressions of interest (EOI) are now being sought for those who’d like to present at this years’ series. Background: The WoodTECH series was reintroduced to Australasian sawmilling and wood manufacturing companies in 2017. After a decade of national training programmes falling over, saw-doctors groupings folding, mill closures and consolidation within the industry, local wood producers were keen on getting their teams together again at one central location. An independent forum to learn about new technology, new processes and systems, to exchange ideas and to network was being called for. That’s where the Forest Industry Engineering Association (FIEA) stepped in. This had been a core component of their technology related events in the past. The WoodTECH series was set up with local industry and key national and global technology providers. 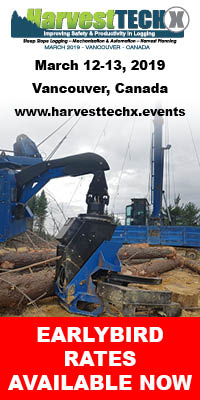 The WoodTECH 2017 technology series focussed on sawmilling or green-mill operations. It drew in a record number of over 400 delegates in September 2017. 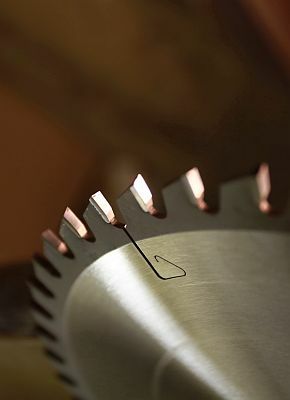 It was the largest gathering ever seen of sawmilling companies, saw-doctors and technology providers in Australasia. WoodTECH 2018 achieved similar support with the focus being on dry-mill or wood manufacturing technologies. Details of both events can be found on the WoodTECH 2019 website. 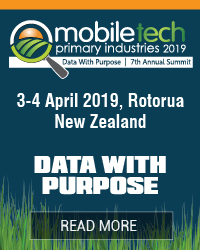 Again, an independent platform will be provided in both New Zealand and Australia for local companies to evaluate new innovations, technologies, processes and systems in sawmilling, scanning, saw maintenance and mill optimisation. Practical troubleshooting, maintenance, QC, saw alignment, training and recruitment sessions are also expected to be built into the two-day programme with short presentations, workshops, trade exhibitions and tech talks being planned. So, if you would like to be considered as a presenter (you’d like to talk about new technology, systems or practices that are being employed which are making a real difference to a mills profitability or productivity, troubleshooting tips, case studies ... please contact brent.apthorp@fiea.org.nz BEFORE Friday 1 March. Södra welcomes Clerk, the company’s first digital robot employee. Södra was founded in 1938 and is the largest forest-owner association in Sweden, with a membership of close to 52,000 forest owners. 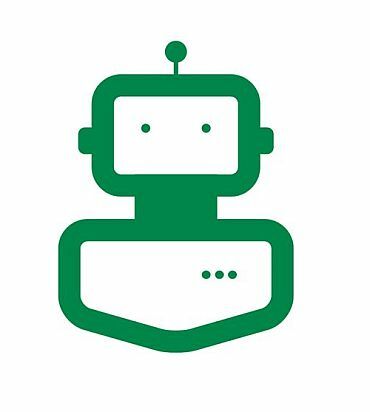 The new robot, Clerk is a software robot that works in six departments and uses its expertise in everyday, repetitive and time-consuming tasks. In the second half of 2018, Toi Ohomai Institute of Technology conducted a forestry contractors business review in collaboration with the Forestry Industry Contractors Association (FICA). More than 130 crews were represented, originating from a wide spectrum of operations from across New Zealand. Approximately 18 per cent of contractors told us the threat of losing key staff and skills were keeping them awake at night, with almost 60 per cent identifying skill shortages as a significant business risk. Insecurity of work also rated high. More than 85 per cent of participants indicated business in 2019 was expected to be similar or slower compared to 2017/2018. -	Do contractors prefer diverse roles in their crew or should operators be specialised? -	What is the general level of job satisfaction among crew members in New Zealand? -	Which factors are currently driving the contractor business? -	What new skills are expected to come into the sector over the next five years? Forestry contractors who are interested in these questions are invited participate in a 2-minute review by following this link. Additional information can be obtained from Toi Ohomai’s Forestry Operations Programme Manager; Richard Stringfellow ( Richard.Stringfellow@toiohomai.ac.nz). Lately, there's been a number of articles about forestry and the need for more planters. At Te Uru Rākau (Forestry New Zealand), we've subsequently received enquiries from people interested in planting, which is encouraging. We are not shying away from the fact that labour is a challenge for the forestry industry. But where there are challenges, lie opportunities. Forestry is one of this country's most important industries. We have an opportunity with the government's renewed focus on forestry and the goal to plant one billion trees by 2028, to build on this and create a sustainable sector that offers real opportunities in the regions – both through job creation and economic growth. One of the major aims of the One Billion Trees Programme is to create employment opportunities, particularly in the regions. Currently, around 1000 workers are working in the forest growing industry each year. As the programme ramps-up and the planting rate increases, we're estimating the number of workers will need to nearly double by 2023 to support tree planting, nursery production, logistics and administration. Te Uru Rākau is working alongside the industry and other government agencies to ensure there's sufficient labour for the upcoming planting season. Part of this is about understanding what the workforce needs to look like. A survey of the industry is underway which will provide better data about the labour needs in the short term. During 2019, Te Uru Rākau will be working closely with the industry, landowners and other key stakeholders to help set the strategic direction for forests and forestry over coming decades. One element of this work will be a multi-year plan to attract, develop and retain the workforce needed to create the conditions for a sustainable sector that has momentum to grow and adapt. 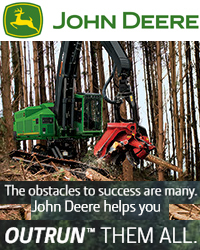 We are currently focused on working with the industry to ensure they are able to provide the opportunities for low-skilled workers so they're ready for the upcoming planting season, and helping employers to understand how to attract and retain workers by ensuring fair and safe employment conditions and clear career pathways. We've held well-attended forestry employer information sessions throughout the country which were run by Forest Industry Contractors Association, with Work and Income, Immigration NZ and the MBIE labour inspectorate all working together. In the longer term, we are looking at how the sector can create opportunities for those not currently in employment to develop a career in the industry. Part of the issue is around seasonality of jobs. Planting only occurs in the winter months, so the sector needs to be looking at other opportunities to create sustainable employment, particularly for young people who are either unemployed or not receiving education or training. This involves working with other agencies to ensure vocational training systems supports the needs of the forestry sector. Summit Forests New Zealand Limited has announced the appointment of Richard Cook to the newly created Head of Forests role, commencing on 11 February 2019. Richard has worked in the forestry industry in New Zealand and Australia since graduating from the University of Canterbury with a Bachelor of Forestry Science. Richard was most recently employed as Southern North Island Regional Manager for PF Olsen Ltd.
An entire block in central Melbourne encompassing council offices and the former Commonwealth Bank building would be remodelled under plans being considered by the City of Melbourne. Melbourne mayor Sally Capp said the redevelopment would create a “new landmark for Melbourne” that would set the standard in terms of sustainable urban design. Subject to approval, the development is expected to begin construction in early 2020 for a 2024 completion. The human resources manager tells him, "You will be hired at minimum wage of $9.35 an hour. Let me have your e-mail address so that we can get you in the loop. Our system will automatically e-mail you all the forms and advise you when to start and where to report on your first day." Taken back, the man protests that he is poor and has neither a computer nor an e-m ail address. Early in the second week he acquires a cart to transport several boxes of tomatoes at a time, but before a month is up, he sells the cart to buy a broken-down pickup truck. At the end of a year he owns three old trucks. His two sons have left their neighbourhood gangs to help him with the tomato business, his wife is buying the tomatoes, and his daughter is taking night courses at community college so she can keep books for him. "Ha!" snorts the man. "If I'd had e-mail five years ago, I would be sweeping floors at Microsoft and making $9.35 an hour." Which brings us to the moral of the story: You will be able to work it out – you got this story by e-mail right?